Charmey's is a full service auction house based on the East Coast within the tri-state corridor. It was established in 2011. Charmey’s departments include but not limited to: Fine Jewelry and Silver, Fine and Contemporary Art, Asian Antiques and Works of Art, Antiquities, Prints and Rare Posters, Books and Autographs. Charmey’s was established to serve the needs of distinguished collectors by striving to bring an array of art, antiques and collectibles to the marketplace. The roots of its founders can be traced to the small town of Charmey’s in the Swiss Alps, its great traditions, and its medieval history. 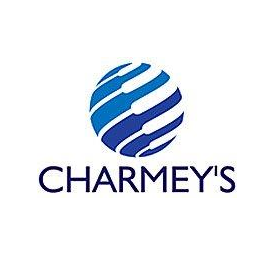 Charmey’s tries to achieve great results for its consignors and customers, both at the same level. Charmey’s ideally schedules 6 auctions throughout the year depending on the market conditions. Charmey’s strives to market rare objects from clients all over the world. Our aggressive marketing strategy will leave us unbeaten in commission rates for marketing rare objects. Charmey’s strives to build its reputation on the ability to accept single items, groups or entire estates with a "no risk consignment policy," setting it apart from other auction houses. In addition, there are no photography fees and if an item does not sell, the consignor does not pay the insurance or "buy-in" fee. Charmey's team of specialists are dedicated to staying current on the latest technologies and developments in the market. Charmey’s also prides itself upon providing personalized and professional service throughout the entire auction process.